Located in western Canada, the province of Alberta is bordered by the Canadian Rocky Mountains to the west and vast prairies and badlands to the east. To the north lie the Northwest Territories. The state of Montana is our nearest southern neighbour in the United States with which we share an international peace park (Waterton-Glacier International Peace Park). Alberta has been the nation’s leader in economic well-being for more than 30 years and in socio-economic well-being for the past 10 years. The Index of Economic Well-Being is a measure of economic welfare and includes measures of wealth, the distribution of income and wealth, economic security, environmental sustainability and non-market activities such as household work. In 2014, Alberta maintained the top spot in the nation and ranked second in an international comparison of economic well-being in Alberta and 14 OECD nations. Alberta is home to an ethnically diverse population of over four million people. One in six Albertans was born outside of Canada, making Alberta one of the most multi-national and multi-cultural provinces in the country. Alberta has the youngest population of all Canadian provinces with a median age of 36.2. This compares to a median age of 40.5 in Canada. Between 2005 and 2015 Alberta’s population grew by 26.3 per cent, the largest increase of any province or state in North America. Alberta is home to an ethnically diverse population of over four million people. One in six Albertans was born outside of Canada, making Alberta one of the most multi-national and multi-cultural provinces in the country. 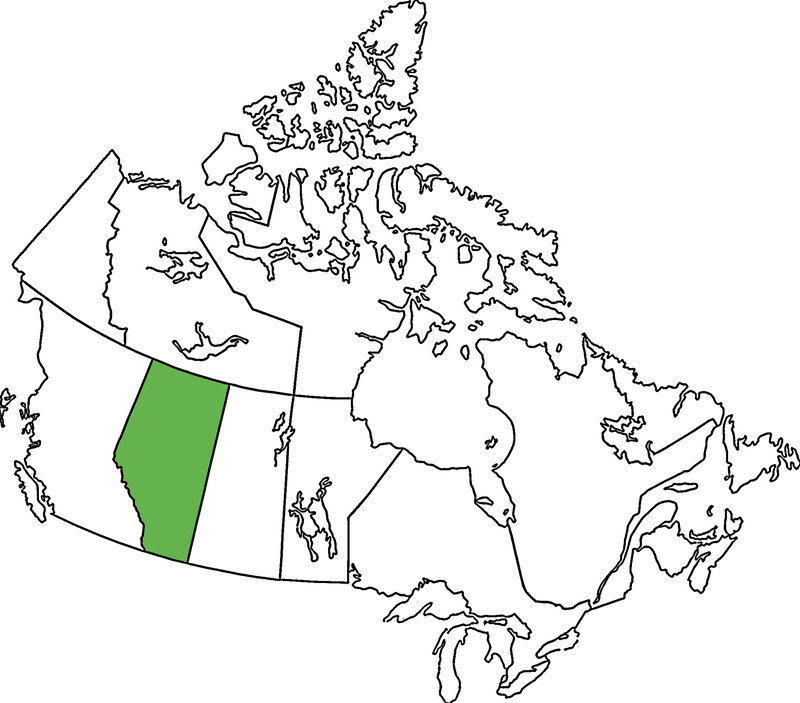 Alberta has the youngest population of all Canadian provinces with a median age of 36.2. This compares to a median age of 40.5 in Canada. 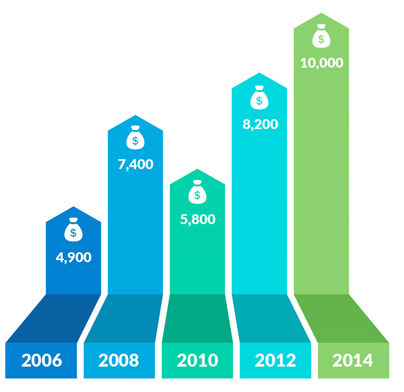 Between 2005 and 2015 Alberta’s population grew by 26.3 per cent, the largest increase of any province or state in North America. Alberta ranks with the world’s best in terms of the quality of education. According to the Programme for the International Assessment of Adult Competencies, Alberta adults ranked first among the provinces for both numeracy and literacy skills and also for problem solving skills. Compared to other Canadian provinces, Alberta has the highest age/gender adjusted per capita spending on government health expenditures, funding more health services than required under the Canada Health Care Act. Alberta’s health system directly employs over 100,000 people which serves a population of just over four million. Alberta has the lowest 30-day hospital mortality rate for both strokes and heart attacks in Canada. Arts and culture activities accounted for 1.6 per cent of Alberta’s gross domestic product and employed 55,518 Albertans in 2014. Alberta’s cultural policy, The Spirit of Alberta, supports and creates opportunities for excellence in the arts, recreation and sports, and encourages the growth of the cultural industries. Alberta generates 16% of Canada’s total GDP while having less than 10% of the country’s population making Alberta a top performing Province. Alberta has one of the world’s most productive agricultural economies, with a total farm area of 50.5 million acres or 20.4 million hectares. In 2015, farm cash receipts for Alberta totaled $13.6 billion, representing 23 per cent of Canada’s primary agricultural production. The province posted the highest cattle receipts as well as the third highest total crop receipts in the country. Alberta has an expanding value-added agricultural products sector. In 2015, sales of Alberta’s processed food and beverage industry reached a record $14.6 billion making it Alberta’s top manufacturing industry on a revenue basis. 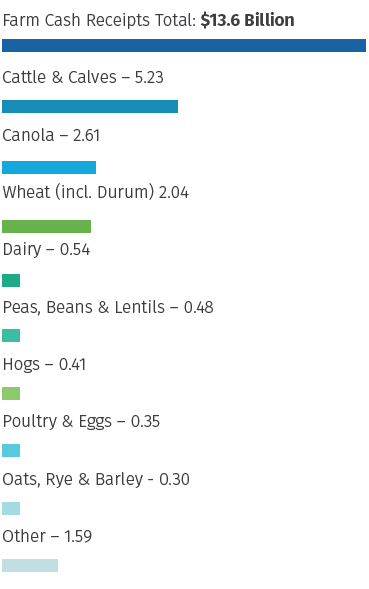 Meat product manufacturing accounts for one-half of the sector’s sales. Total Value of all Agrifood exports including Primary Commodities and Value Added Commodities for the period 2006 to 2014. © 2018 Northeast Alberta Food Marketers Association. All Rights Reserved.